CAT Power on a smaller scale with push button activation. Fire up the ignition and freewheel forward or reverse with real CAT rumblin action. 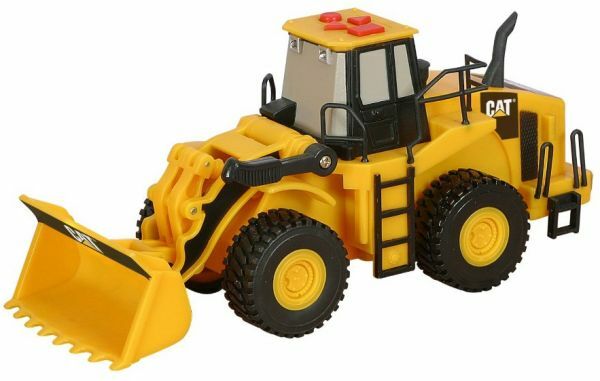 The bucket on the wheel loader raises and lowers just like the real thing. Recommended for ages 3 and up. Two "AA" batteries included.